You’ve started to learn about wine and find yourself thirsting for more knowledge. Choosing a wine course can be challenging, especially with so many options these days. 1. Is it to become more knowledgeable as a wine drinker and to increase your personal enjoyment of wine? 2. To find a new hobby that you and a friend or partner can pursue together? 3. To learn more about various wine regions in order to plan gastro-vacations? 4. To make a career change or start one in the wine industry? I’ve always felt that wine could be the organizing hub in a liberal arts degree, with spokes emanating out from that liquid core for courses in culture, science, geography, history, commerce, art, religion and philosophy. Wine is also such a versatile subject, whether you want to skip along the surface like a flat rock over the lake and just determine the styles you like to drink, or to take a deep dive into viticulture, terroir and winemaking science. You can start with one-off classes offered by recreational departments and local liquor stores, or seek out a 10-week introductory course like those offered by community colleges. Often, you can continue on with these to achieve a diploma, such as the sommelier programs at Algonquin College and La Cite Collegiale, both in Ottawa, and George Brown College in Toronto. The Sommelier program at Algonquin has recently been updated to include options for both full- and part-time study. “Sommelier Fundamentals” is an eight-course program offered in the evenings and as part of the day program. The more comprehensive 12-course “Sommelier – Ontario College Certificate” is offered in the evenings and as a full-day Tuesday compressed program. New this fall is the 15-course, comprehensive full-time Ontario College Certificate program that includes WSET Level 2 certification. There are also professional sommelier association courses and programs, such as those offered by the Canadian Association of Sommeliers (CAPS) and the International Guild of Sommeliers (ISG). There are also specialty classes, such as those offered for those who want to become wine importers, or at least learn about wine importing for personal pleasure. Be sure to check out the the Toronto-based Independent Wine Education Guild (IWEG) courses for WSET, the French Wine Scholar Program and the Prud’homme Beer Certification. 1. The structure and breadth of the course. 2. The budget for the wines to be tasted in class. 3. The history and credentials of the instructor. 4. The reputation of the organization as a whole, worldwide. 5. The pass rate for full completion of the program. One of the most respected programs is the Wine & Spirit Education Trust (WSET), headquartered in London, UK, but offered by qualified instructors around the world. 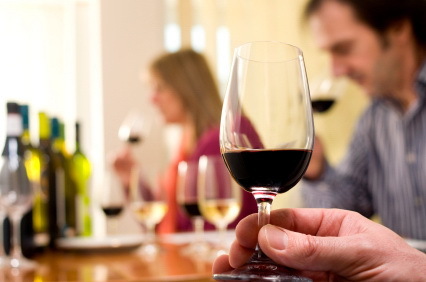 The WSET program Levels 1-3 are designed for wine professionals and enthusiasts alike. In Ottawa, the program offered by Algonquin College. Those who have completed the Algonquin Sommelier Program may start the WSET Program at Level 3. The Level 3 Award qualification is designed to give a thorough understanding of the principal wines and spirits of the world and their commercial importance in the world’s market. The qualification will assist those who are required to make professional evaluations of wines and spirits with regard to their quality and commercial value. The qualification provides the in depth product knowledge required to underpin job skills and competencies, for example in product selection in the retail and hospitality sectors. Holders of the WSET Level 3 Award in Wines and Spirits will be able to describe the characteristics of the principal wines and spirits of the world and give information on the key factors influencing style, quality and value. They will consequently be in a position to advise management, to answer customer queries authoritatively, and to make informed selections of wines and spirits in a variety of situations. For questions regarding WSET3 or any of the Algonquin College Sommelier program options, please contact Marie-France Champagne at 613-727-4723 ext. 5151 or boudrem@algonquincollege.com. Please note: WSET 3 is an advanced course and assumes a certain level of wine knowledge. The expectation is that students spend a minimum of eight hours a week studying course material. WSET is the premier certification for non-service drinks industry people. Service types are more likely to be drawn to the Court of Master Sommeliers certification, as seen in the movie SOMM. The course at Algonguin is taught by Natale Lofaro, a much-respected wine professional in Ottawa, both for his knowledge and for his palate. A full-time LCBO Product Consultant who tastes over 2000 wines a year, Natale has been an instructor in the Sommelier Certificate Program since the Spring of 1998. Attending the prestigious Napa College in the world famous Napa Valley, he earned certificates in ‘Viticulture and Winery and Technology’ and ‘Wine Marketing and Sales’. A graduate of the Sommelier Program he has also completed the University of Guelph’s Ontario Grape & Wine Industry Certificate. Natale has also reached the Diploma level of the Wine and Spirits Education Trust, and is a certified WSET instructor. Natale has worked for a number of Napa Valley wineries and is himself an amateur winemaker of note. He has toured extensively in the Niagara Peninsula, Okanagan, Napa and Sonoma Valley wine growing regions. Current WSET grads hold leadership positions in the Canadian wine industry and abroad, including wine directors at top restaurants, wine sales manager for large wine agencies and wineries, wine importers, winemakers, wine educators, liquor store product consultants and managers. For those who want to take wine education to the highest levels, there is the Master of Wine and Master Sommelier programs, both requiring years of study. It’s rigourous, but I challenge you to find a subject where the research and the study is more enjoyable. Let me know what courses I should note below in addition to those already mentioned in this article. WSET Level one which is a one day course builds a strong foundation in wine styles, wine-making, key grape varieties, wine service, and food and wine matching principals. The exam consists of multiple choice questions only. WSET Level 2 is a course studied one afternoon per week for 8 weeks and focuses on “looking behind the label” to fully understand wine, styles, labeling terms, and building on tasting technique while generating professional tasting notes. The exam consists of multiple choice questions only. 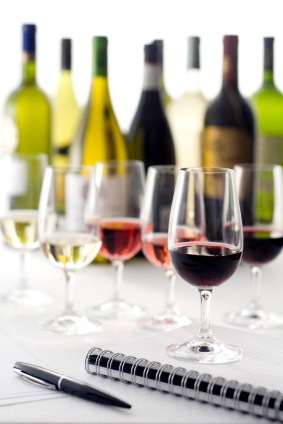 WSET Level 3 Provides more comprehensive coverage of the wide range of wines and spirits around the world. 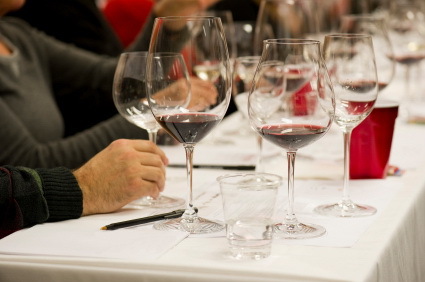 The qualification has an increased focus on wine tasting technique. This is a 14 week course of study, one afternoon per week, culminating with an exam that includes two blind wine tasting papers, and a combination of multiple choice, and short-answer theory questions. Successful candidates at every level earn a certificate and lapel pin corresponding to their course of study.